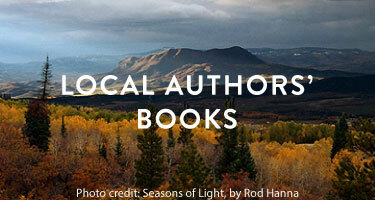 Guest post by Cynthia Swanson, the author of The Bookseller. In Kitty Miller’s 1962 Denver, life is unconventional but peaceful. Kitty, 38 years old and never married, runs a bookshop with her best friend. Kitty lives life on her own terms: often, she goes out after work for drinks or dinner, or stays up all night reading with her beloved cat Aslan by her side. Though she once hoped to marry and have a family, those days have long since passed. Then the dreams begin. In them, Kitty goes by her given name, Katharyn, and is married to a wonderful man, an architect named Lars Andersson. They have children, a stylish home, and an active social life. It’s everything Kitty Miller once believed she wanted, but it only exists when she sleeps. As Kitty continues to dream of Katharyn’s life, the lines between reality and fantasy begin to blur. Sometimes life as Katharyn the homemaker feels more real than life as Kitty the bookseller. At those times, Kitty wakes up wondering where she truly belongs. I’m often asked what inspired this novel. It came from a small, personal incident. Several years ago, I had a moment where - just for a split-second - I wondered what I was doing in my own life. As Kitty does in her dream-world, I wondered how I’d gone from being single and independent to being a married mother of three, with entirely different responsibilities and day-to-day circumstances. In my case, that happened in a relatively short amount of time (as it does for many people). This incident got me thinking about a character who wasn’t sure if she belonged in her own life. What, I wondered might cause a person to experience that type of feeling - not just occasionally, but to continually experience blurring between dreams and real life? I wanted to explore the actual “why” of this story. Could a convincing and rewarding story be made of such circumstances? Could I make Kitty’s journey plausible enough for readers to keep turning the pages, wanting to find out what’s going on - and why? It’s my hope that readers are captivated by Kitty’s story, and they feel satisfied when they reach the end of The Bookseller. Moreover, I hope the novel provides plenty of food for thought and discussion about the twists and turns readers’ own lives have taken over the years. We all, regardless of our life’s path, long for the same thing the bookseller does: for the road we’ve taken to be the one that bring us peace and joy.